Warner/Chappell Music and THiS Music have extended their worldwide co-publishing agreement with hit songwriter Marv Green. 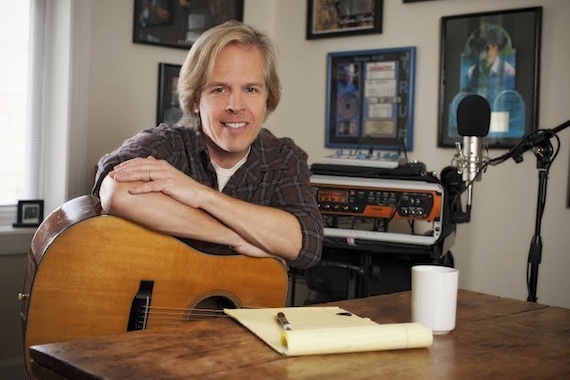 One of Nashville’s most sought-after writers, Green has had his songs recorded by countless artists, including George Strait, Reba McEntire, Willie Nelson, Merle Haggard, Tim McGraw and Blake Shelton, among many others. Green scored his first hit in 1998 with Strait’s No. 1 song “True.” The following year Green hit his second No. 1 with Lonestar’s “Amazed,” which spent a record-breaking eight weeks at No. 1 on the Billboard Country Chart and earned Green a number of accolades including BMI Song of the Year, BMI Songwriter of the Year, and ACM Song of the Year, as well as a Grammy nomination. Other No. 1 hits of Green’s include “Wasted,” (Carrie Underwood), “It Just Comes Natural” (George Strait), “Consider Me Gone,” (Reba McEntire), “Who I Am With You” (Chris Young) and “Shotgun Rider,” recorded by Tim McGraw. Green has also written a number of top five singles including “Proud Of The House We Built” (Brooks & Dunn), “Farmer’s Daughter” (Rodney Atkins), “Let’s Make Love” (Tim and Faith) and “Creepin’” (Eric Church). Additional recordings include songs by Dierks Bentley, Dustin Lynch, Jewel, Billy Currington, Faith Hill, Kenny Chesney, Bon Jovi, Mark Chesnutt, Jo Dee Messina, Lee Ann Womack, Sara Evans, Martina McBride, Brad Paisley and Joe Diffie. Marv Green is represented by attorney Chip Petree at Ritholz Levy.